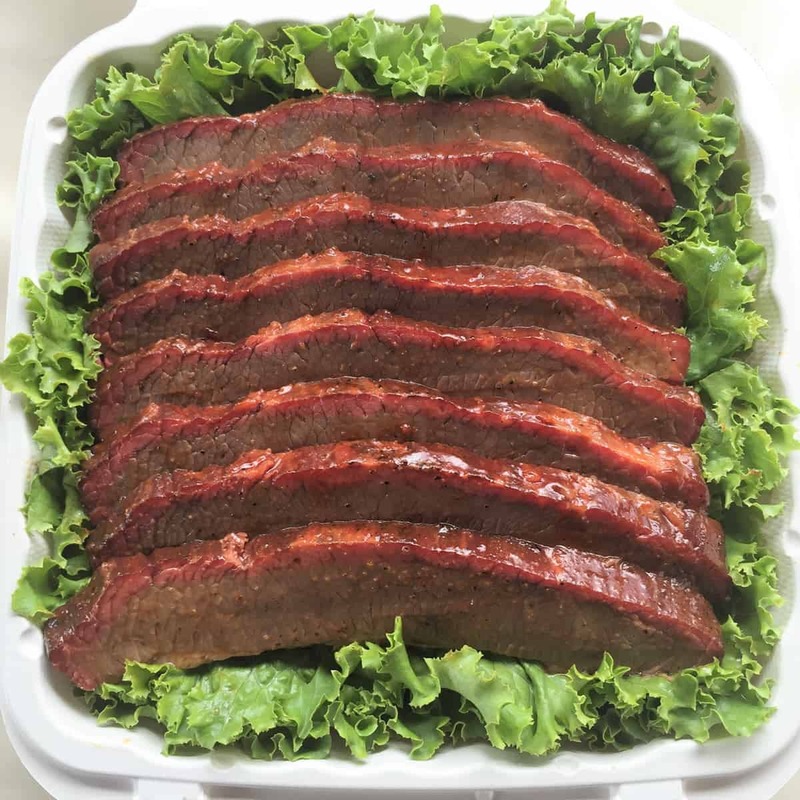 Brisket flat is the leaner part of the brisket that consists of two muscles, the other being the fatty decal. 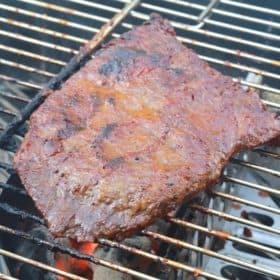 You can cook this brisket on a tray or directly on the smoker. 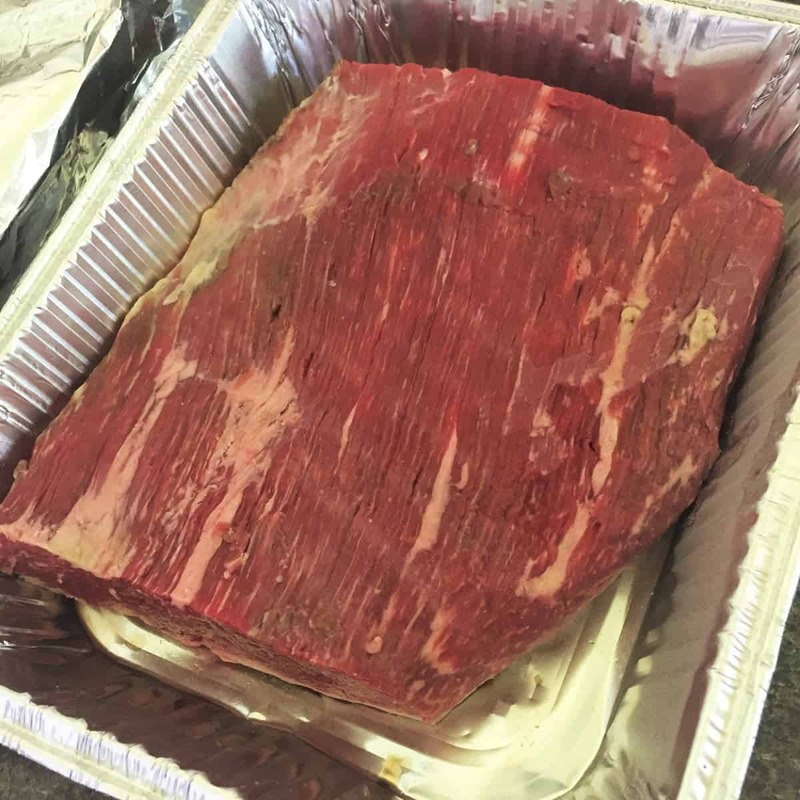 Trim the brisket flat of any odd parts or excessive fat or silver skin. Keep the layer of fat on the bottom, but make sure it is of an even thickness. Rub the Worcestershire in to the meat. While this marinates, combine the remaining rub ingredients. Sprinkle evenly over the brisket. 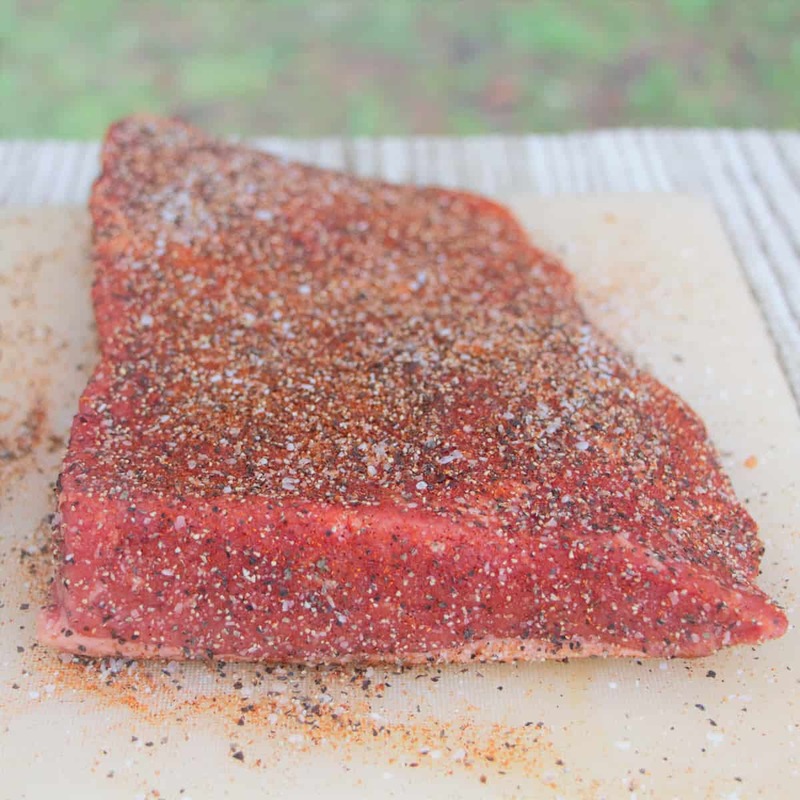 Place on the smoker as soon as the rub becomes moist, or refrigerate overnight. 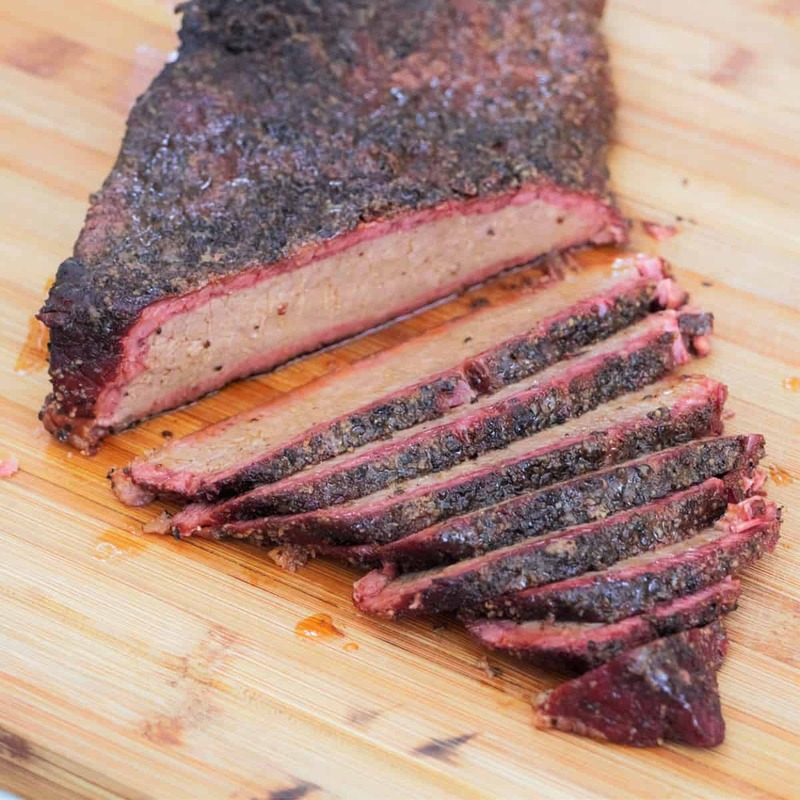 Heat a smoker to 95 to 120 degrees C (200 to 250 degrees F). Add a strong wood like Iron bark, mesquite or hickory chunks. When at temperature, add the brisket and cook for 3 hours. It should remain moist on top during this time. Place the butter and sugar on a large piece of foil. Put the brisket fat side-up on the foil, then tip in the beef stock. 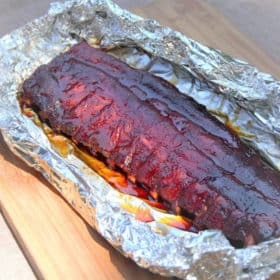 Wrap well, then wrap with a second piece of foil. Return to the smoker for 3 hours. Start checking the temperature at about 2 hours. The final temperature can range from 85 to 100 degrees C (185 to 215 degrees F). 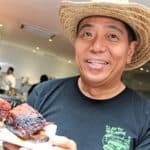 You will know it is ready when the meat is soft. When finished, remove from the smoker and leave to rest for 20 to 30 minutes. You can wrap it in a towel and place it in a warmed eski for up to 2 hours. Place the meat on a chopping board and slice. You can either leave on or take off the fat.